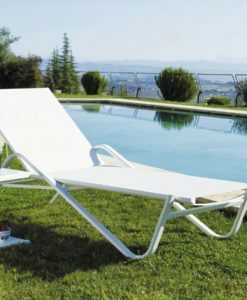 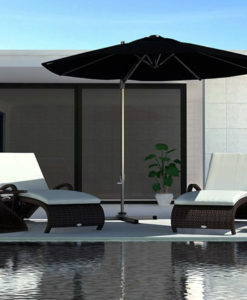 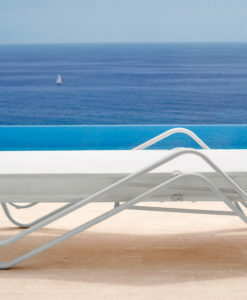 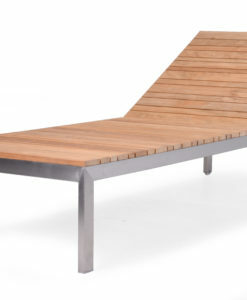 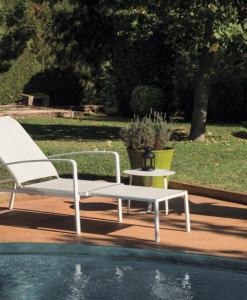 Angela, is the perfect chaise for pool entry with little wheels in the back side making it easy to move around the pool. 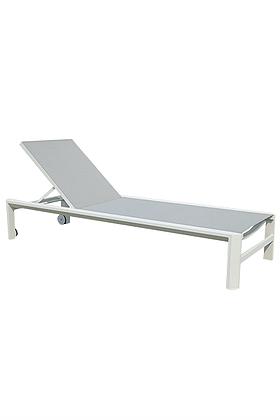 Is the right chaise for Hotels and Hospitality use, is stackable easy to move and comes with two options of batyline and frame finishes it also has an adjustable back. 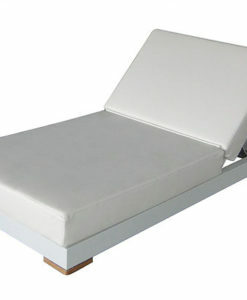 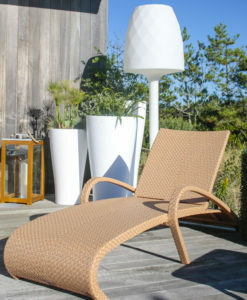 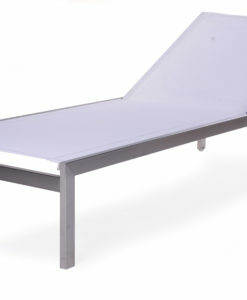 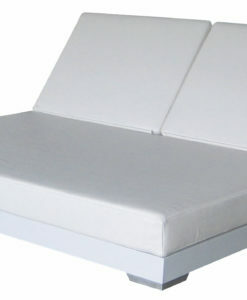 Modern white grey aluminum textile chaise lounger wheels is a contemporary twist on today’s chaise loungers. 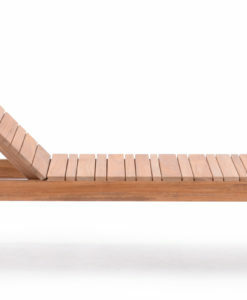 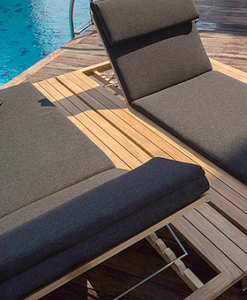 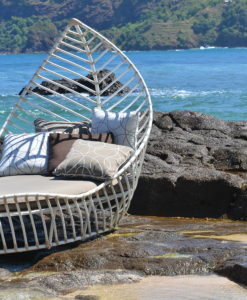 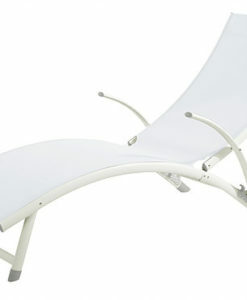 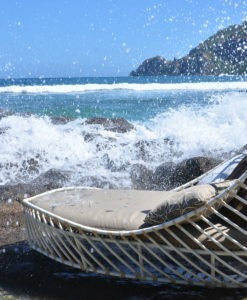 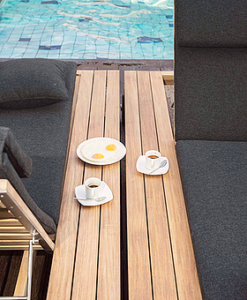 It gives you a refreshing take on how you see chaise loungers, being that they are both stylish and comfortable. 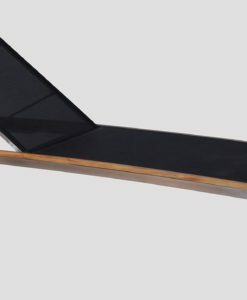 Hence giving off a unique style and design. 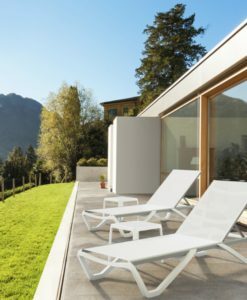 Stretch out, recline, and relax in pure sophistication with this modern white grey aluminum textile chaise lounger wheels. 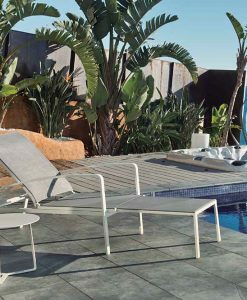 Combining classic outdoor wicker with modern metal, this mixed-material piece is ideal for meshing with any existing outdoor furniture. 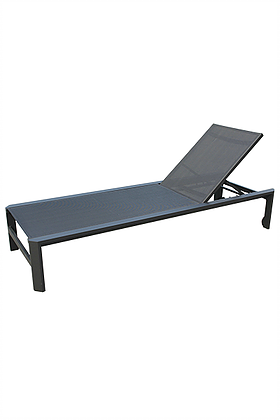 Is the right chaise for Hotels and Hospitality use, is stackable, easy to move and comes with two options of batyline and frame finishes it also has an adjustable back.